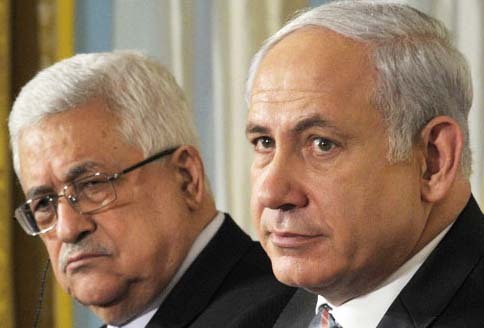 Prime minister slams PA president for refusal to recognize Israel as Jewish state. Benjamin is about to being forced to accept the valueless signature of PLO-leader Abu Mazen, alias Mahmoud Abbas. Prime Minister Binyamin on Monday attacked Palestinian Authority President Mahmoud Abbas for his refusal to recognize Israel as the Jewish state. “The chairman of the PA was quoted today as saying that he is not prepared to recognize the Jewish state. And this comes with him knowing that there will not be an agreement without recognition of the nation state of the Jews,” Netanyahu said at the Likud faction meeting. The political theater around US Secretary of state John Kerry is getting more abused by the day. And the dirty games played to forces Israel to sign a false peace agreement is become more and more obvious. For all who are not blind, but able to read the Bible and see the Prophetic word being displayed before our very eyes. Stand up for Israel, and stand with her. This is a demand from the Messiah, who is about to return as the Lion of Judah. To fail to honor the works of the Lion of Judah, will be followed by tragic eternal consequences. Not only shall the eyes rot in the sockets on all who battled against Jerusalem. But they will have to spend eternity inside the flames of Hell, prepared for al who became puppets of Satan. Not to forget all who served the kingdom of darkness, using the name of “Jesus” to do so. Previous Post The Saturday English weekly “The Goan”: – Saint or Monk?